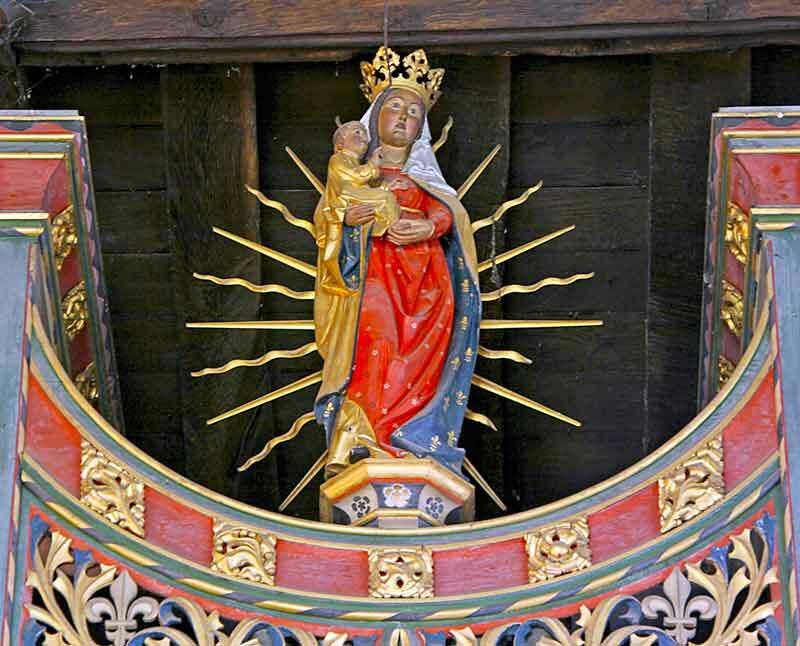 Above the south door is a large bracketed organ case with shutters and image of the Blessed Virgin Mary, painted texts and decoration, by Sir Ninian Comper. Pevsner notes that it is based on the organ case in Freiburg-im-Breisgau cathedral, Germany. 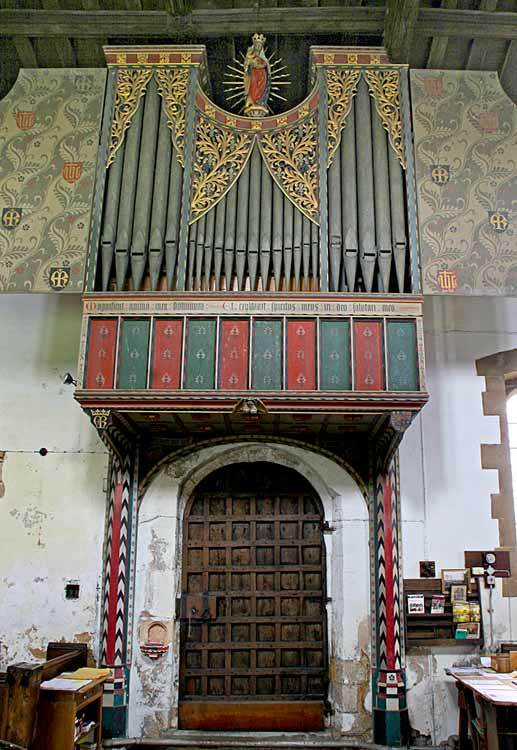 Technical details of the organ are available on the National Pipe Organ Register website.